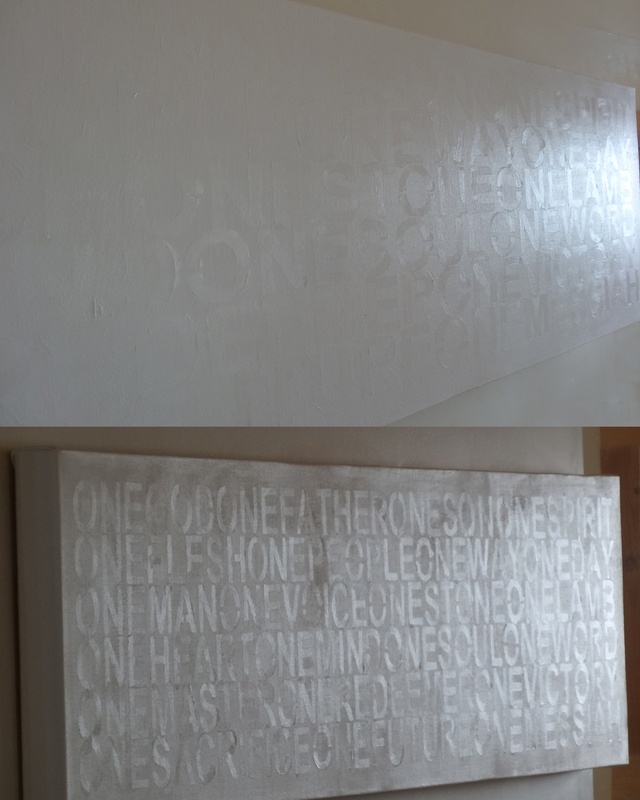 It is from a new “white-on-white” series to experience the evanescent space between presence and absence, fragments and wholeness, whispers and silence, and pandemonium and peace with an intention of ceremonial reverence leading to a spiritual affirmation of unity. The subliminal text cannot be seen from the front. The viewer must view the work from various angles to see the text emerge, causing the art to be interactive with the viewer.